Florida teenager Logan Parham appeared on “Fox & Friends Thursday to speak out about an exam question he received at St. Augustine high school about alleged right-wing bigotry towards immigrants and minorities. Parham took a picture of the exam question and his mother Reanna later posted it to Facebook. His mother said she felt the same way. If religious teaching isn't allowed in schools, should there be a similar ban on political opinions? Logan Parham is a founding member of the Republican club at his school and said he now feels targeted. “It just honestly makes me feel kind of targeted and threatened being that this is a teacher,” he said. “And you know, I think teachers need to be teaching what teachers need to teach rather than forcing their opinions upon students who don’t know any better. 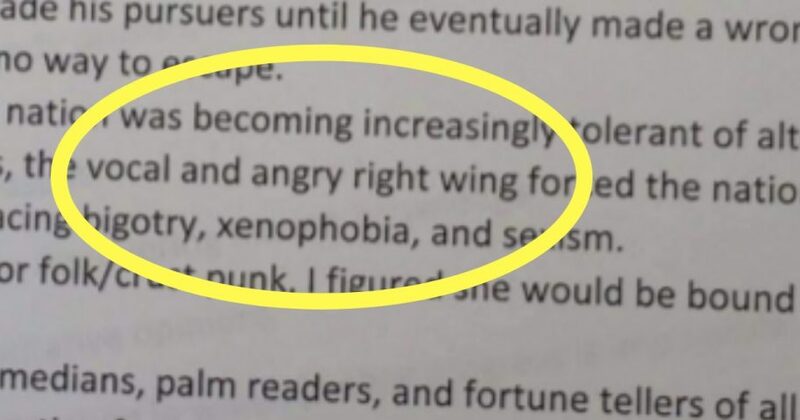 WJAX-TV in Jacksonville obtained a copy of a letter the school’s principal sent to the teacher who wrote the quiz question, reminding him about exercising good judgment when dealing with politically charged issues.